You read that right… That is a NOT. Gemma is seriously doing my head in recently and I kn ow it’s partly my fault because she doesn’t get as much attention as she used to but these reasons are things that Beagles do regardless of how much attention you give them! No matter how much food our Gemma eats, she is always scrounging for more. It is quite annoying to be truthful. She will sit by the kitchen table and whine until she gets something. And nothing is safe. You leave an apple pie on the kitchen counter where you think it’s safe – it isn’t! She will have managed to move a chair to the counter to get to the pie. I have seen it done! And I mean everything! To be completely disgusting, our Gemma eats poo. Having done research, Gemma is not an isolated case. It is quite a normal thing for Beagles to do. I don’t understand it either! It amazes me she has any hair left! And it sticks to everything! We’ve bought so many different brushes to try and groom her and the latest one seems to be the best. Because they eat so much they also need so much exercise otherwise they will get fat! And when you do exercise them they will not walk in a straight line! Beagles are ruled by their noses so when walkies comes along it’s nose to the ground and drag your owner wherever your nose takes you! I think the only dog that can looks more miserable than a Beagle is a Bassett Hound. When a Beagle smiles, they look freaky! But despite all of this, I still love our beauty so much! She’s a snuggly thing but I wish we could curb the above traits! Beagle owners – do you agree with me?! Aww, noo… they don’t look miserable. They look adorable! 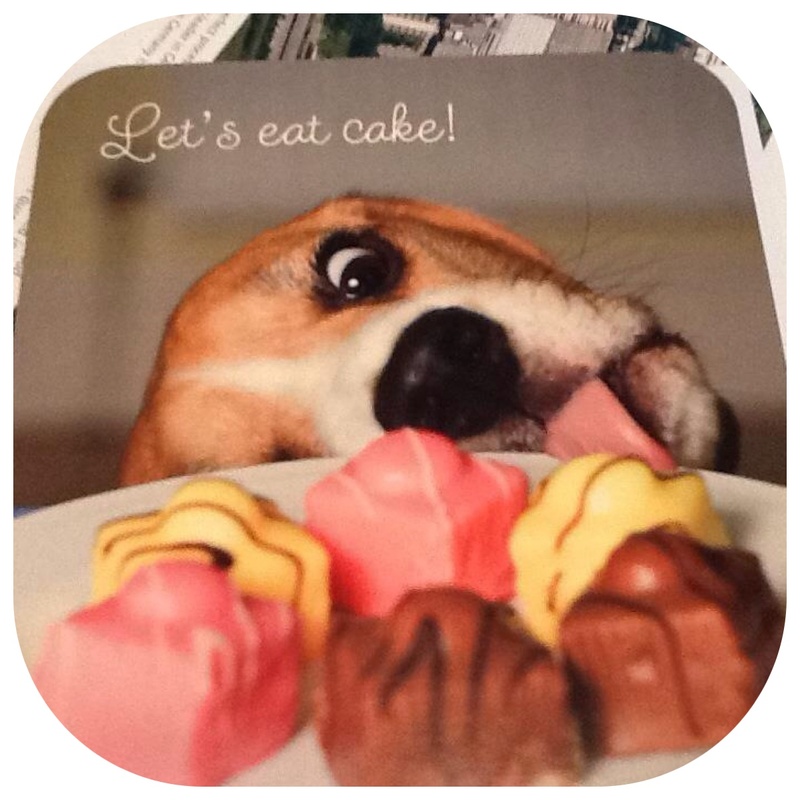 I’ve heard of other dog breeds eating poo as well… beagles are not alone there! She is adorable and very snuggly and I love her but oh wow annoying at the moment! 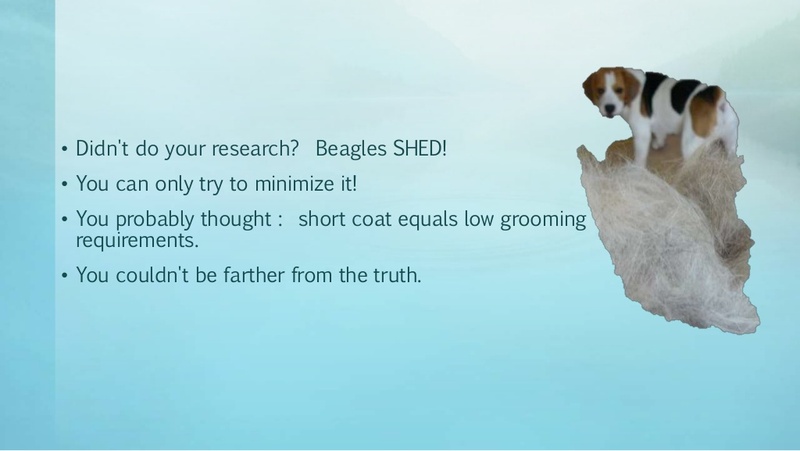 I’m glad to hear that Beagles at least share one dirty quality with other breeds. Our JRT doens’t do it at all. But she’s so cute! I’m sure there are this many reasons NOT to get any breed. My dog is extremely needy and sheds uncontrollably as well. But I love him and he is the most loyal dog ever. That cake photo had me laughing out loud! True and most of these things didn’t bother me much until I had Little Miss. The shedding is the worst at the moment. Oh and the cake photo was actually a birthday card that’s in the shop but it’s just SO Gemma!! Ooo a Dalmation! I would love one of them! It’s all Disneys fault of course! 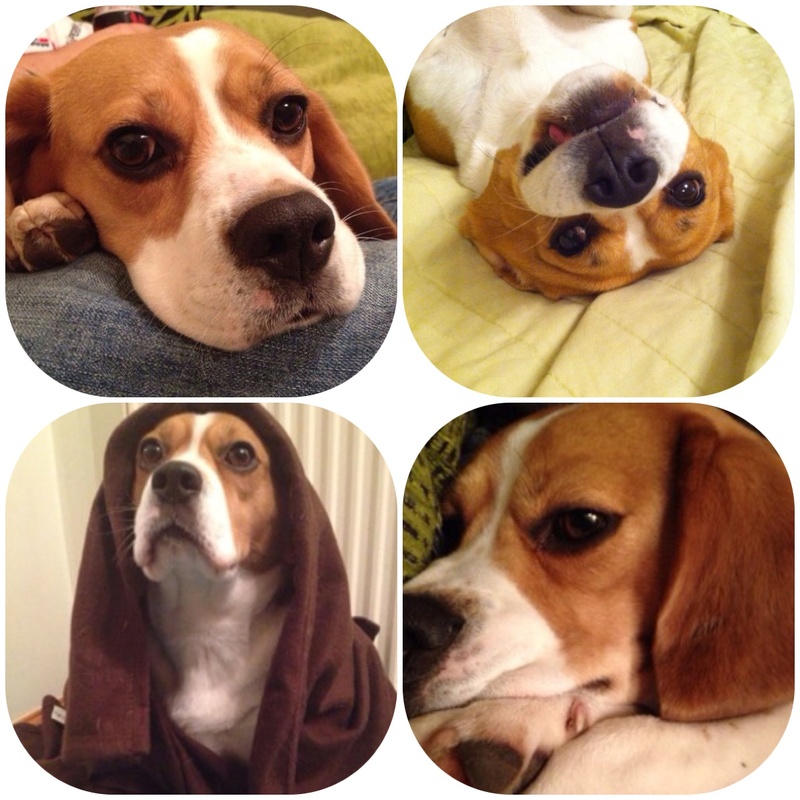 Hahaha, aww <3 Beagles are so cute, even as adults they look like puppies! I’d never have thought a whippet would shed! Like you say they don’t seem to have much to begin with.